Q5 Outdoor Products offer amazing bird vests for all types of upland hunters. We guide and hunt with the Centerfire model. The storage capacity is unmatched by any other vest. Hydration capable with high end hose clips and fasteners, the Centerfire also has water bottle pouches on either side which are easily reached. The deep shell bags allow for them to be open and easily accessible or closed with a wide velcro cover. The shell bags are also able to be zipped shut so you don’t lose shells in transit to your next hunting spot. The bird pouch is quite roomy with a netted top to allow for proper ventilation so dead birds don’t hold heat. The Centerfire–their top of the line model– goes with us on every hunt. Made in the USA. When you purchase Q5 and Quilomene vest, you are helping a child experience camping and the great outdoors. A percentage of the proceeds to to Arizona Outdoor Adventures, a non-profit organization dedicated to providing healthy outdoor activities for underprivileged children. We’ve teamed up with LunaRita Outfitters to accommodate larger hunting parties. We’ve had some spectacular quail hunts with more to come. 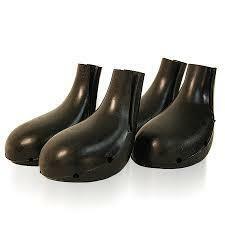 Lewis Dog Boots are the best protection for your hunting dog. They also happen to be great friends of ours. We personally hunt with the owners and we endorse their product which is for sale HERE in our MERCHANDISE Store. Made in Oklahoma, USA. We hunt and guide exclusively with Braque du Bourbonnais pointers from Cactus Country Kennels in Tucson, AZ. We send our bird skins to the World Famous Blue Ribbon Flies in West Yellowstone, MT. 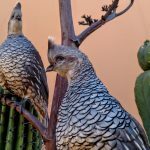 Sonoran Desert Feathers Taxidermy work is the best in the west. We exclusively use their services for personal and client’s mounts. We’ve had the opportunity to guide John Hudgens on a quail hunt in the hills of Southern Arizona. He’s the Yellow Dog program director for South America.